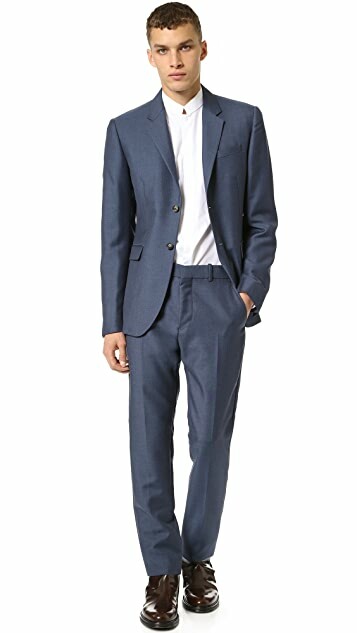 A modern-fit Marni 2-piece suit. 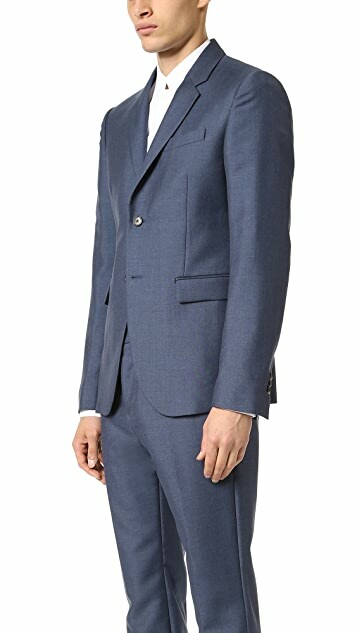 Rendered in lightweight wool twill, the suit jacket has a slim notched lapel and a single-breasted, 2-button front. Breast pocket, 2 front flap pockets, and a single-vent hem. The creased trousers have an uninterrupted front, on-seam hip pockets, and button welt back pockets. 3 internal pockets detail the jacket lining. 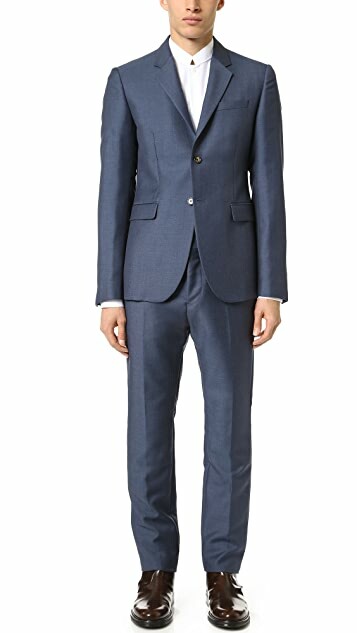 NOTE: Marni suits use drop 5 sizing.